American Gary Woodland, Australian Marc Leishman and India's Shubhankar Sharma are tied for the lead on 19-under-par with 18 holes to play in the PGA Tour's CIMB Classic in Malaysia. The trio all played in the final group on Saturday with Sharma's 6-under 66 moving him into joint top spot after Woodland and Leishman returned 67s. They are two shots in front of Louis Oosthuizen and Bronson Burgoon. Leishman, who fired a 62 at TPC Kuala Lumpur in round two, looked as if he'd be the one to separate himself from the field when playing his first five holes in 5-under, but lost momentum on the back nine, coming home in 1-over 37. He said: "Played the first 10 holes really well, the putter cooled off a little bit, but hung in there and shoot 5-under. Happy with the round, gave myself a good chance tomorrow." Woodland also felt he slowed down on the second nine, as the American reflected: "Played very well today. Didn't make as many putts as I did yesterday, but drove the ball well. "Kind of got a little loose there a little bit on the back nine, maybe ran out of gas a little, but it was nice to finish up with a birdie and nice to get some momentum going into tomorrow." Sharma was the surprise 54-hole leader in the WGC-Mexico Championship earlier this year, but wilted on Sunday to finish T9 - he feels it could be a different story this time. "Good thing is that I've been in this position before and I'm in it again," said the Indian. "But the good thing also is that we're in Asia and I'm going to get a lot of support from all the fans." 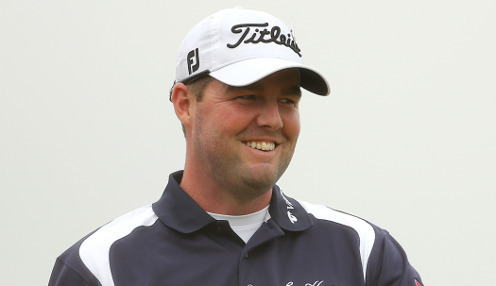 Woodland is 66/1 to win the CIMB Classic, with Leishman 1/150 and Sharma 400/1.